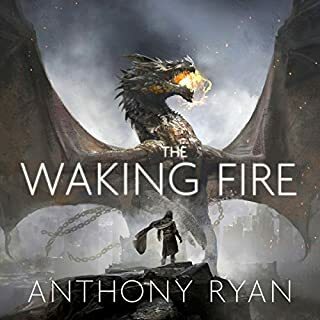 The new star of British fantasy returns with The Waking Fire, book one of the Draconis Memoria series, a thrilling new epic fantasy of exploration and adventure, spies and assassins, explosive magic and the battle for empire. For decades the lands of the Ironship Syndicate have been defended by the 'blood blessed' - men and women able to channel the powers contained in the potent blood of wild drakes. Elite spies and assassins, their loyalty has established the Syndicate's position as the greatest power in the known world. Yet now a crisis looms. It has been 20 years since the end of the war. The dictatorial Augurs - once thought of almost as gods - were overthrown and wiped out during the conflict, their much-feared powers mysteriously failing them. Those who had ruled under them, men and women with a lesser ability known as the Gift, avoided the Augurs' fate only by submitting themselves to the rebellion's Four Tenets. Enter a war-torn world where gunpowder and magic collide. The nation of Fatrasta is a haven for criminals, rebels, adventurers and sorcerers seeking relics of the past. As insurrection grows, only the iron will of the Lady Chancellor holds the capital city of Landfall together. 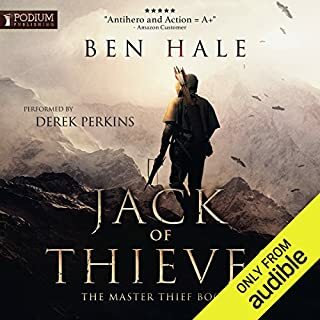 Yet an ancient power as old as time is rising, and the fate of this young nation now rests in the hands of a spy, a disgraced war hero and a mercenary general with a past as turbulent as Landfall's present. Pyrre Lakatur is not, to her mind, an assassin, not a murderer - she is a priestess. At least, she will be once she passes her final trial. The problem isn't the killing. The problem, rather, is love. For to complete her trial, Pyrre has ten days to kill the seven people enumerated in an ancient song, including "the one who made your mind and body sing with love / who will not come again." Pyrre isn't sure she's ever been in love. And if she fails to find someone who can draw such passion from her, or fails to kill that someone, her order will give her to their god, the God of Death. 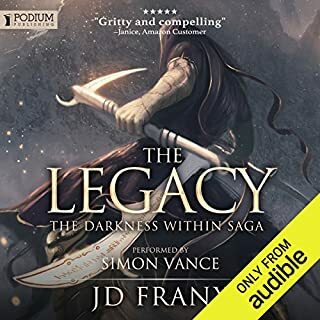 Pyrre's not afraid to die, but she hates to fail, and so, as her trial is set to begin, she returns to the city of her birth in the hope of finding love... and ending it on the edge of her sword. ©2017 Brian Staveley (P)2017 Brilliance Publishing, Inc., all rights reserved. this story was okay but I was glad I listened to the emporers blade first. 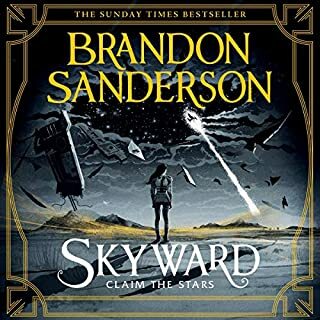 It was an interesting book with some truly well written areas to it, but overall I found myself just didn't care enough to finish it. It was neither convincing that the protagonist would be so desperately searching to find love in order to sacrifice him to her god, nor was there anything that I was rooting for. The conclusion seemed inevitable and I found that I just didn't care enough about he journey getting there to be worth my time. 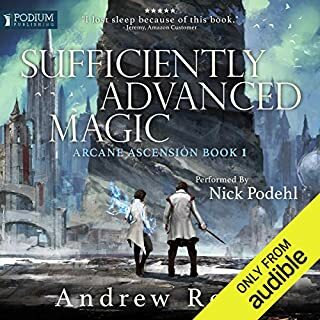 I listen to a lot of books and this may be the first time that I've chosen to stop listening to a story with only two hours left. If you weren't able to finish the unhewn thrown series, defeat nicely don't tread this on. This book is not at the same level as the others. I would skip it really wish it would have went somewhere due to the world the other books made. 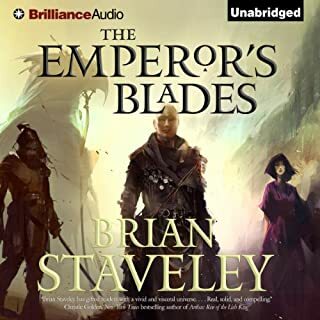 I thoroughly enjoyed Mr. Staveley's first trilogy and this book provides solid proof that his works are only going to get better and better. If you read/listened to The Unhewn Throne Trilogy then you'll remember Pyrre Lakatur, the somewhat mysterious and very deadly priestess of the God of Death. This book delves into her background and gives more insight into what it means to be one of the Skullsworn. 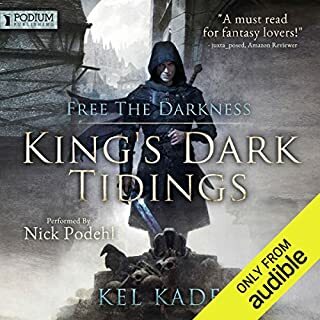 This is the first time I've listened to Elizabeth Knowelden's narration and I was very impressed with her as well. I don't give 5 stars often and usually never for all three categories but it's well deserved in this case. What did you love best about Skullsworn? I liked the development of skullsworn, but it should've shown why they are so feared more and built up that aspect like the flea, how we saw from the last book why he's so feared when he told his story. What was one of the most memorable moments of Skullsworn? I cant remember any stand out moments in this book. it wasn't like the other 3 which each had something special that stood out in my mind. What didn’t you like about Elizabeth Knowelden’s performance? I didn't like her accent and lack of inflection. Her voice is more suited for non fiction which is going to be written in one tone. In this it was hard to follow along because of the tone and lack of changes in her voice. I would say skip this book and make the other three into a movie this needs more development before its ready to go into theater. If you could sum up Skullsworn in three words, what would they be? This book serves as a prequel of sorts to Staveley's Unhewn Throne trilogy. Story is crisp and enjoyable, and it provides some additional depth to this fantasy world. I wasn't particularly fond of this character in the original trilogy, but the additional character development in this book has massively elevated her in my view. Quite a good book, and it could stand alone if you haven't read the other books. But you should read those as well, because they're amazing. 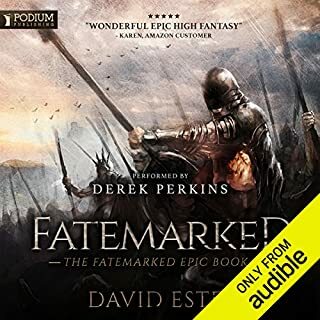 Great story told through a great narrator. Her voice is exactly what I pictured for her character. The author was able to keep me guessing what would happen next even though the epilogue. Great addition to the series. Narrator lacked dynamic voice. Storyline wasn't interesting. I have enjoyed any prequels as the author tends to recapture theagic of the world they started. This is not the case here. boring characters with a predictable and honestly stupid story. I'm not a fan of fiction that tries to convince evil is good and good is evil. This is not a book in which you cheer for the hero. It constantly tries to convince you that you might be judging according to your own pre defined sense of right and wrong, which makes you have to deny the objective reality of the situation to jump through those mental gymnastics. The book is too dark for me with no redeeming qualities. 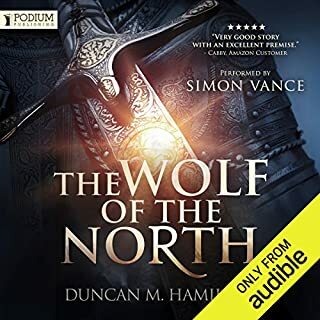 Ok, so I’m finding this book hard to review... had it been a random story narrated by Elizabeth, I’d have probably given her 5 stars for her narration as she can’t be faulted and portrays Pyrre and the other characters really well; unfortunately Simon Vance has already created a persona for Pyrre in my mind and she differs a lot from Elizabeth’s portrayal... but don’t let that put you off, Elizabeth is brilliant! 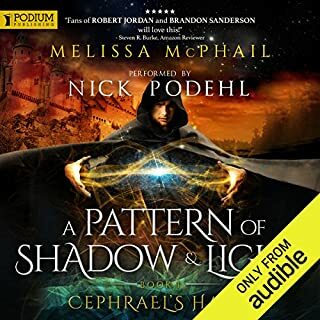 Coming in straight after I finish the Unhewn trilogy I felt a little wanting in the single character front of Skullsworn and single path of the storyline which is the complete opposite of the Unhewn multiple stories and twists and turns. All in all, a very good book which I’d most likely give 5 stars if it was a complete standalone story and Unhewn hadn’t raised my standards so high. Definitely worth a read!! 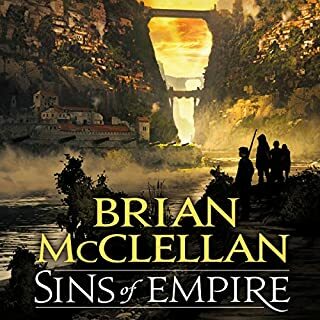 I have read Brian's other books but this book grabbed me from beginning to end. 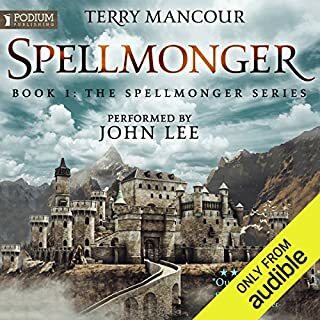 The narrator is a ok so one of the best I have heard. 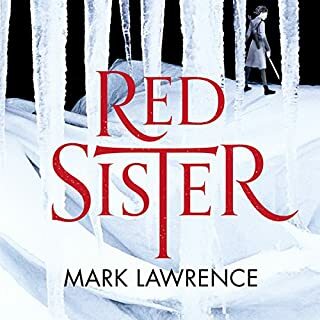 Perhaps it picks up later in the book but the beginning chapter and a half was so drawn out and dull and the characters to pretentious and annoying I couldn’t continue. 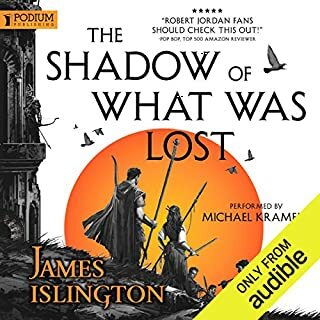 Coupled with that the narrator is horrible to listen to and I felt very badly cast in terms of the age of the character. Loved it .... listened to it twice! Would you listen to Skullsworn again? Why? Yes. Brians' writing it as good as it gets in the fantasy genre if you ask me. Yes it is dark, but grimly realistic and not for the faint hearted. I loved the character Ella, a totally amoral character living just in the moment, but lighting up the page whenever she makes an appearance. The ending was utterly brilliant, and an ending fit for the characters. 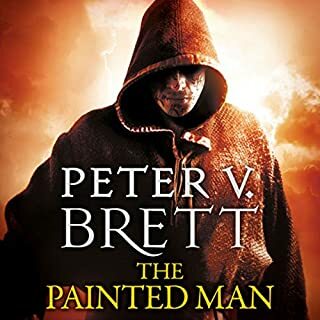 Brian's understanding of religion and faith and all that it entails is cleverly interwoven into his writing, It makes you think, and question both the characters actions and perhaps what goes on in the real world too. Reading Brian's books is an education in itself, so prepare to have your thinking challenged. narrator was good, story was good but it's a bit too dark. what did I expect though about a book about death worshipers. If you've read/listened to the first three then you've probably got a soft spot for Pyrre. That personality doesn't see the light in this story. It's a different character entirely, bland and tuneless. The performance and a couple of reveals pull it back. Absolutely wonderful read. Tremendous story telling and great imagination. Different characters stories, pulled together at the right time, and with ease. Definitely as good as the Emperors Blades. I know it's not as easy as all that Mr. Staveley but, more please. This is a great addition to an already fantastic series. It is not a combination of the other books but it is well worth a read. 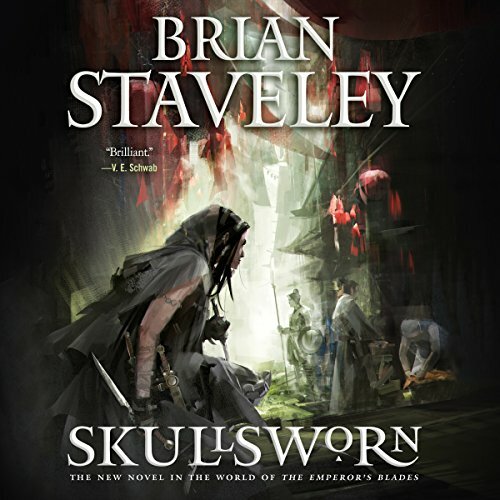 I couldn't resist downloading another book set in this world, having devoured Brian Staveley's previous works back to back. 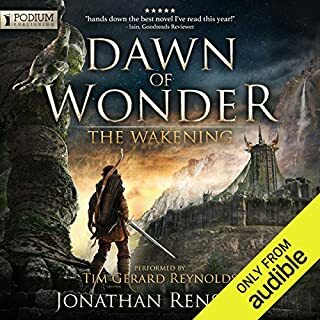 I was a little apprehensive by a change of narrator, but Elizabeth Knowelden does it justice, particularly given the protagonist this time is female. I would certainly listen to another audiobook narrated by her. The story is superb. 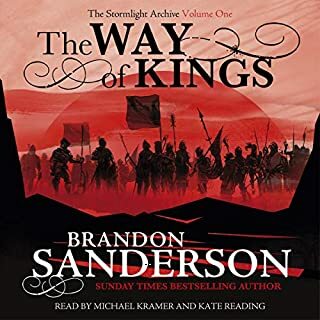 Probably more entertaining than the trilogy that precedes it, but the preceding trilogy is essential prior knowledge, otherwise so much of the story wouldn't make sense. Five stars. I hope another stand alone novel swiftly follows this one. If I wanted Mills and Boon I would of bought Mills and Boon, this book made me feel like a gooseberry listening to a couple on a slow date hoping I can drink really really quickly so drunken oblivion takes me.